John H.L. Hansen (IEEE: S'81-M'82-SM'93-F'07) was born in Plainfield, New Jersey. He received the B.S.E.E. degree with highest honors from Rutgers University, New Brunswick, N.J. in 1982, and the M.S. and Ph.D. degrees in Electrical Engineering from the Georgia Institute of Technology, Atlanta, Georgia, in 1983 and 1988, respectively. He joined University of Texas at Dallas (UTDallas), Erik Jonsson School of Engineering and Computer Science in the fall of 2005, where he is presently serving as Jonsson School Associate Dean for Research, as well as Professor of Electrical Engineering and also holds the Distinguished University Chair in Telecommunications Engineering. He previously served as Department Head of Electrical Engineering from Aug. 2005 – Dec. 2012, overseeing a +4x increase in research expenditures ($4.5M to $22.3M) with a 20% increase in enrollment along with hiring 18 new T/TT faculty, growing University of Texas at Dallas (UTDallas) to be the 8th largest EE program from ASEE rankings in terms of degrees awarded. He also holds a joint appointment as Professor in the School of Behavioral and Brain Sciences (Speech & Hearing), as well as the University Distinguished Endowed Chair in Telecommunications Engineering. 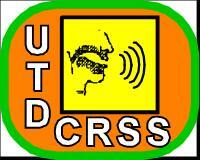 At UTDallas, he established the Center for Robust Speech Systems (CRSS), which is focused on interdisciplinary research in speech processing, hearing sciences, and language technologies. From 1999 until 2005, he was with the University of Colorado at Boulder where he served as Department Chairman and Professor in the Department of Speech, Language & Hearing Sciences (Univ. of Colorado-Boulder). While at CU-Boulder, he held a joint appointment as Professor in the Department of Electrical & Computer Engineering. In 1988, he established the Robust Speech Processing Laboratory (RSPL) at Duke Univ., and served as Coordinator for the Robust Speech Processing Group at CSLR.. He was co-founder of the Center for Speech and Language Research (CSLR), where he served as Associate Director from 1999-2003. He was a faculty member at Duke Univ., Department of Electrical Engineering and Department of Biomedical Engineering for eleven years before joining Univ. of Colorado in 1999. Previously, he was employed by the RCA Solid State Division, Somerville, N.J., (1981-82), and Dranetz Engineering Laboratories, Edison, N.J., (1978-81). He has served as a technical consultant to industry and the U.S. Government, including AT&T Bell Laboratories, I.B.M., Texas Instruments, SPEETRA, Infoture, LENA Foundation, Li Technologies, Sparta, ASEC, SignalScape, Hughes Research Lab, VeriVoice, and DOD in the areas of voice communications, wireless telephony, robust speech recognition, forensic speech/speaker analysis, and human-computer interaction. His research interests span the areas of digital speech processing, analysis and modeling of speech and speaker traits, speech pathology and voice assessment, speech enhancement and feature estimation in noise, robust speech recognition with current emphasis on robust recognition and training methods for spoken document retrieval and recognition in accent, noise, stress, and Lombard effect, and speech feature enhancement in hands-free environments for human-computer interaction. 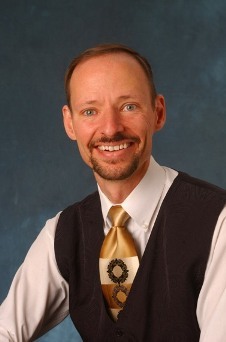 Dr. Hansen is the author/coauthor of 482 publications including 111 journal and 338 conference papers, 11 books, and 22 book chapters in the field of speech processing and language technology. He is coauthor of the textbook Discrete-Time Processing of Speech Signals, (Prentice-Hall, 1993 [1st Edition], IEEE Press, 2000 [2nd Edition]), co-editor of DSP for In-Vehicle and Mobile Systems (Springer, 2004), Advances for In-Vehicle and Mobile Systems: Challenges for International Standards (Springer, 2006), In-Vehicle Corpus and Signal Processing for Driver Behavior (Springer, 2008), and lead author of the text "The Impact of Speech Under `Stress' on Military Speech Technology," published by NATO Research & Technology Organization RTO-TR-10, AC/323(IST)TP/5 IST/TG-01, March 2000 (PDF [1.3MB]). In has been named IEEE Fellow (2007) for contributions to "Robust Speech Recognition in Stress and Noise," named Inter. Speech Communication Association (ISCA) Fellow (2010) for contributions on “Research for Speech Processing of Signals under Adverse Conditions,” and received The Acoustical Society of America’s 25 Year Award (2010) – in recognition of his service, contributions, and membership to the Acoustical Society of America. He was the recipient of a Whitaker Foundation Biomedical Research Award in 1993, the National Science Foundation's Research Initiation Award in 1990, and has been named a Lilly Foundation Teaching Fellow for "Contributions to the Advancement of Engineering Education." He has supervised 62 PhD/MS thesis candidates (29 PhD, 32 MS/MA), and was the recipient of The 2005 University of Colorado Teacher of the Year Recognition Award as voted on by the student body. He is currently serving as Past TC-Chair and Member of the IEEE Signal Processing Society: Speech-Language Processing Technical Committee (2005-08; 2010-13; previously elected and served as IEEE SLTC Technical Chairman for 2011-2013), and elected ISCA Distinguished Lecturer (2012/2013). He has also served as member of the IEEE Signal Processing Society Educational Technical Committee (2005-08; 2008-10). He has served as the Technical Advisor to the U.S. Delegate for NATO (IST/TG-01: Research Study Group on Speech Processing, 1996-1998). In 2004, he was selected as an IEEE Signal Processing Society Distinguished Lecturer for 2005-2006. He has also served as Chairman for the IEEE Communications & Signal Processing Society, North Carolina Section (1992-94), previous Advisor for the Duke University IEEE Student Branch (1990-97), an invited tutorial speaker for IEEE ICASSP-95 and the NATO Speech Under Stress Research Workshop (Lisbon, Portugal), Tutorials Chairman for ICASSP-96: Inter. Conf. on Acoustics, Speech, and Signal Processing, and served as Associate Editor for IEEE Signal Processing Letters (1999-2001) and served as Associate Editor for IEEE Transactions on Speech & Audio Processing (1992-98). He has also served as guest editor of the Oct. 1994 special issue on Robust Speech Recognition for IEEE Trans. Speech & Audio Proc., and organized the Special Session: Speech Processing under "Stress" for IEEE ICASSP-99, Phoenix, Az, March 1999. He organized and served as General Chair for INTERSPEECH-2002/ICSLP-2002: Inter. Conf. Spoken Language Processing, held in Denver, CO in Sept. 2002, and Co-Organizer and Technical Program Chair for IEEE ICASSP-2010, Dallas, TX, March 2010. Navid Shokouhi, EE - Topic: Co-Channel Speaker Modeling, Analysis, and Compensation. Shabnam Ghaffarzadegan, EE - Topic: Distance based speech processing and recognition for Whisper based speech..
Dongmei Wang, EE - Topic: Single channel speech enhancement for cochlear implant users. Dr. Tao Yu, Ph.D.-ECE - CRSS 2011 (CRSS, Univ. of Texas at Dallas; employed at Cambridge Silicon Radio, Michigan, USA) (EE - Topic: Speech System Normalization via Array Processing for Noise and Channel Effects).